Czech team owner (and driver) Robert Pergl has announced an association between his MenX Team and the Russian Convers Team, for the 2006 Le Mans Series – writes Jan Baranovic. The new team will be called MenX Convers Team, and will race the familiar Ferrari 550 Maranello in the five-race Le Mans Series. Pergl will drive with Peter Kox and Alex Vasiliev. 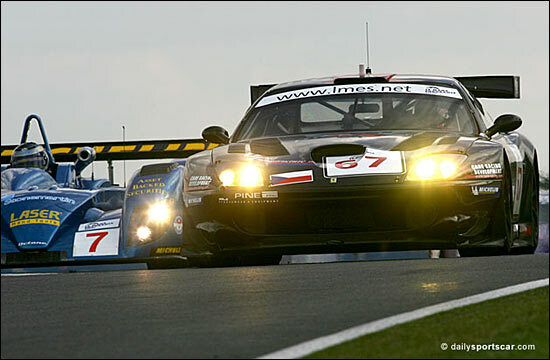 The highlight of Pergl’s 2005 was the Le Mans Endurance Series victory at Silverstone, below (Kox / Pergl / Jarek Janis).